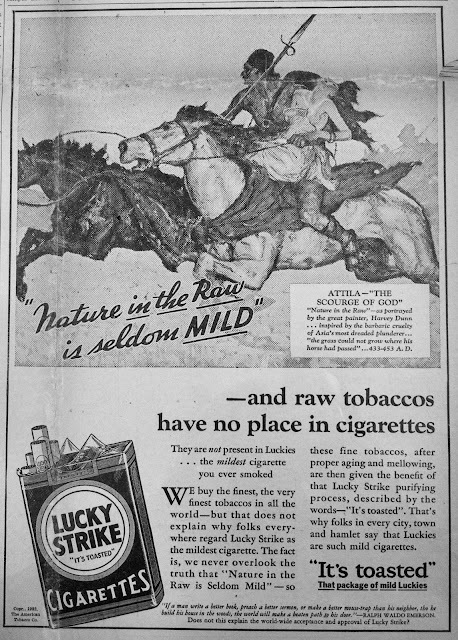 This is the second part of a series looking at tobacco advertising in the student newspaper, The Richmond Collegian, published at the University of Richmond. 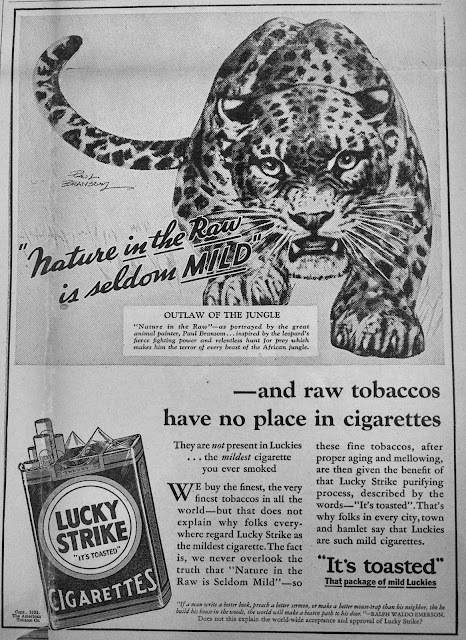 The three major brands: Lucky Strike, Chesterfield, and Camel continued their all out weekly propaganda campaigns to win the minds and dollars of young people. 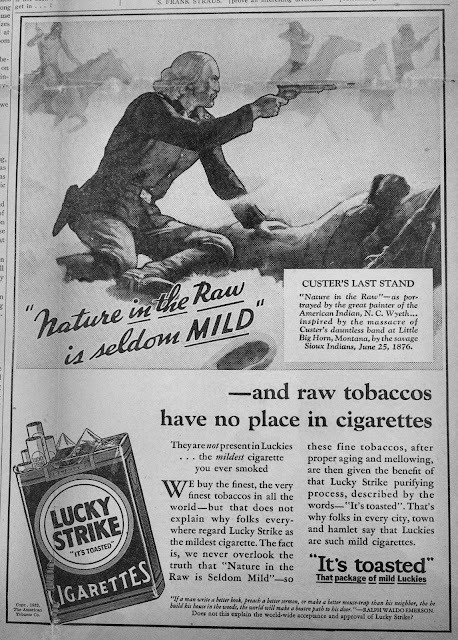 Looking at these advertisements, one almost forgets that they appear during the early years of the Great Depression. 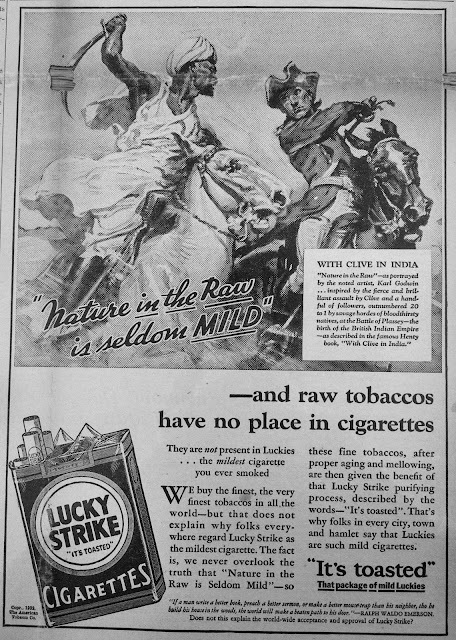 With cigarettes costing only 14 to 20 cents per pack, they represented an affordable luxury. 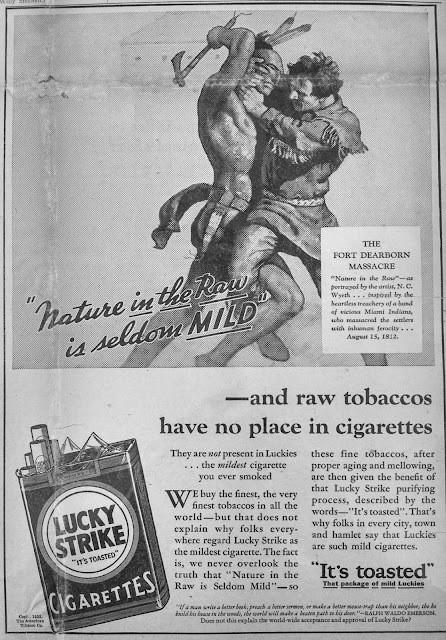 While the ads depict attractive men and women who enjoy a mild, flavorful cigarette there is almost no reference to deteriorating economic conditions. 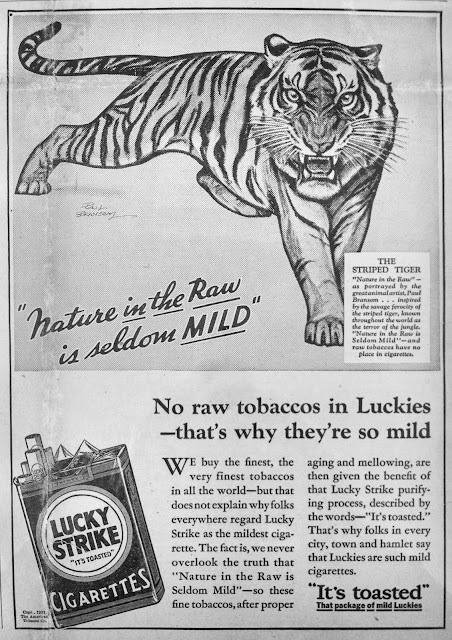 Here is a rare advertisement that does make a reference to the decline in stock prices. 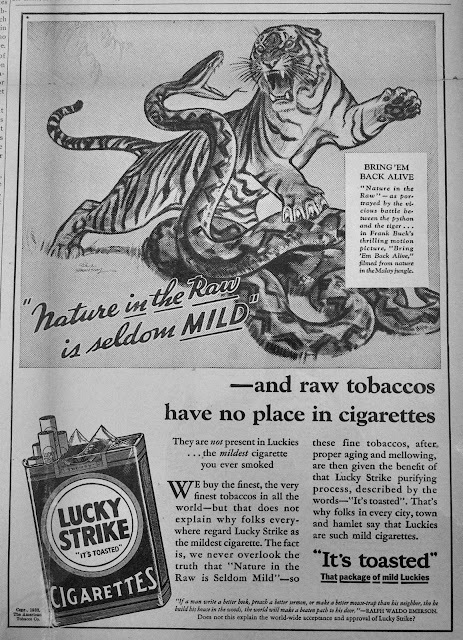 The advertising campaign for Winter 1932 used the slogan “Nature in the raw is seldom Mild” and featured historic battles, lions, tigers, and snakes. 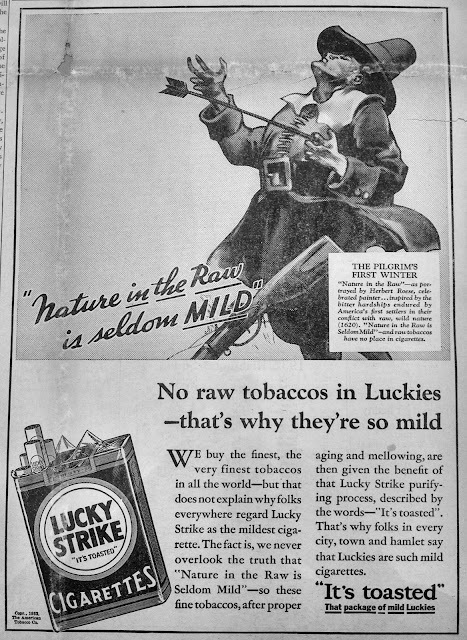 Mildness is what all the manufacturers promised, but never at the expense of flavor. 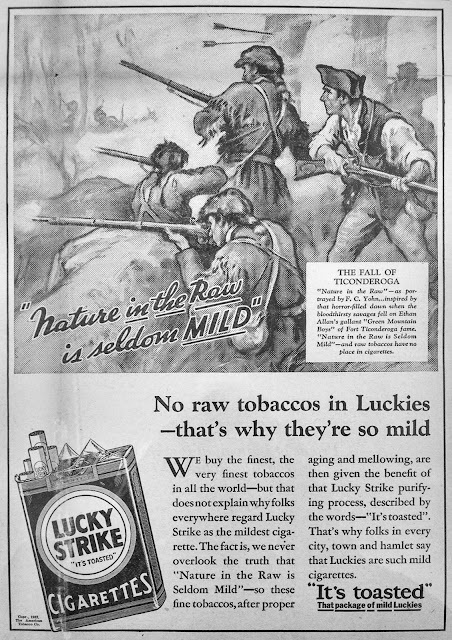 Several of the ads feature a quote from Ralph Waldo Emerson about the world beating a path to your door when you do something well.